Thursday evening this started to happen while I was downtown Ottawa. 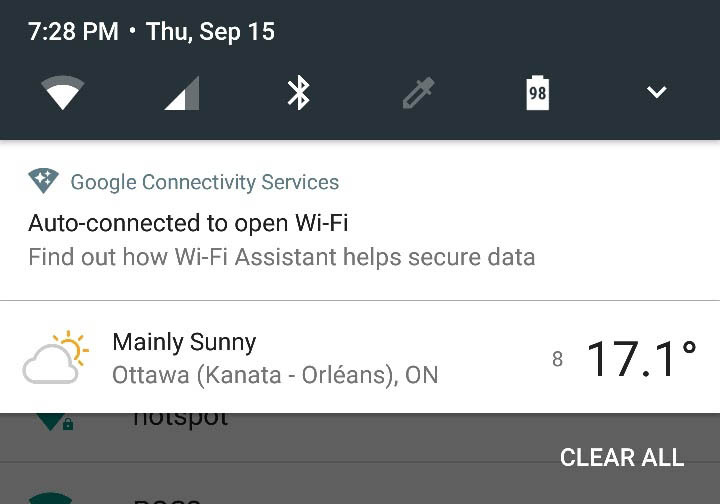 To my surprised when I looked into it further it was the Google Wi-Fi assistant that was announced a few months back. It has now officially started to roll out to Nexus devices in Canada.